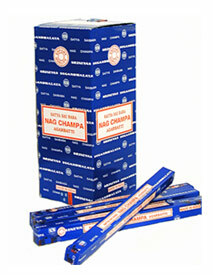 Sai Baba Nag Champa, enjoyed by millions, is the most popular Indian incense in the world. For many people, when they think of incense, they think of Nag Champa. This is authentic Sai Baba Nag Champa, made by Shrinivas Sugandhalaya.